Carly Rae Jepsen attended the 3rd annual holiday window unveiling event at Hudson’s Bay on Sunday (November 4) in Toronto, Canada. Opting for Kenzo’s playful yet sophisticated aesthetic, her Fall 2018 dress, inspired by ’60s flower power vibes, suited the singers’ bubbly personality. 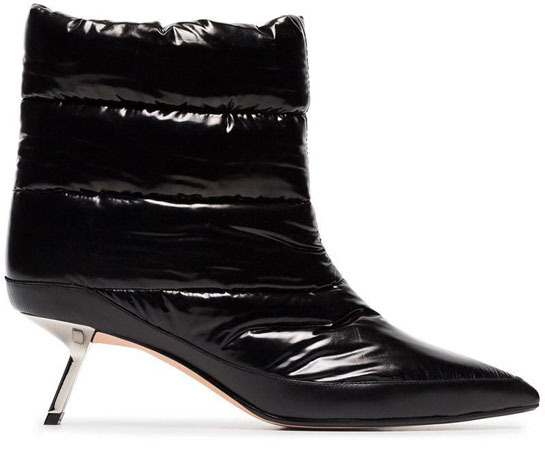 The dress itself is very intriguing with its ruffled design and asymmetric gathers and frills, but I couldn’t get on board with the Alchimia Di Ballin ‘Daphne’ puffer booties, as they looked like ankle weights.